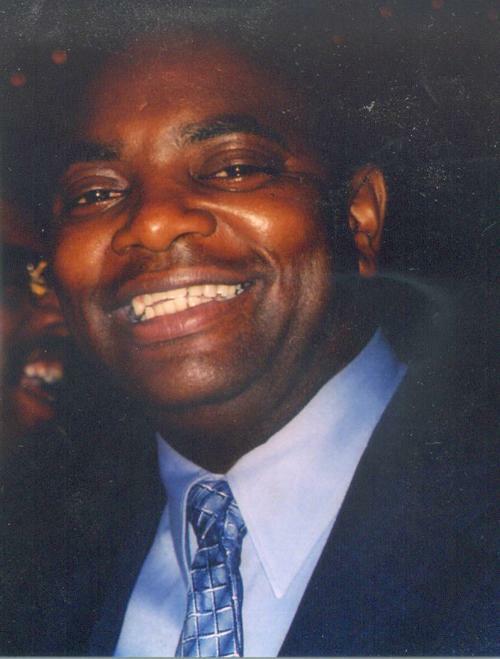 With great sadness and loss we regret to announce the passing of Calvin George Headley, age 58 of Halifax, N.S. (formerly of Glace Bay). Calvin passed away on Wednesday, July 3, 2013, at the Halifax Infirmary. Calvin was born on May 2, 1955 to the late Joshua and Dorothy 'Icy' Brewster, Glace Bay. A 1974 graduate of Morrison High School, Calvin went on to attend Kings College from 1975-1979, where he excelled at basketball and soccer, resulting in Calvin being named 'Athlete of the Year' in 1979. Calvin was assistant coach at Kings from 1979-1987. In 1987 Calvin gave up coaching for refereeing where he officiated at all levels, youth, junior, senior high, Provincial Black Basketball Tournament, CCAA, CIS, as well as some Rainmen games. In 2005 Calvin shared a place in history, along with Wendell Skeir and Brian States, when they became the first trio of black officials to referee an ACAA game. A longtime employee of NSCC, Calvin worked at various outlets throughout the city. Born with "personality plus", a hug from Calvin was something to treasure. Calvin loved to spend time with family and friends, especially coming home at Christmas for the annual Christmas Day hockey game. His furry friends, Hobbs and Holly will miss watching Coronation Street with him on Sunday mornings. Calvin is survived by his wife, Terry (Arnason); as well as godson, Calvin Taylor; sisters, Ruby, Deanie, Mary (Tom), Veronica (Glenn); brothers, Richard, Kevin (Blanche), Donald (Jacqueline), Floyd (Marlaine), Bill (Annie) and Benjamin; numerous nieces and nephews. Calvin was predeceased by his father, Joshua Brewster; mother, Dorothy 'Icy' Brewster; his sisters, Debbie LaPlante, Dolly Ashe, Winnie Lucas; nephew, Robert LaPlante; as well as other family members. A memorial service for Calvin will be held on Tuesday, July 9 at 2 p.m. at St. Mary's Church, Glace Bay. A funeral service for Calvin will be held in Halifax at a later date. Time and place to be announced. Donations in Calvin's memory can be made to Kings College, c/o Scholarships for African - Nova Scotian Athletes, in Calvin's name.